This month we asked BLT Prime’s Executive Chef, Chris Leahy, to prepare a culinary specialty for hot, summer weather and pair it with an Austrian wine. 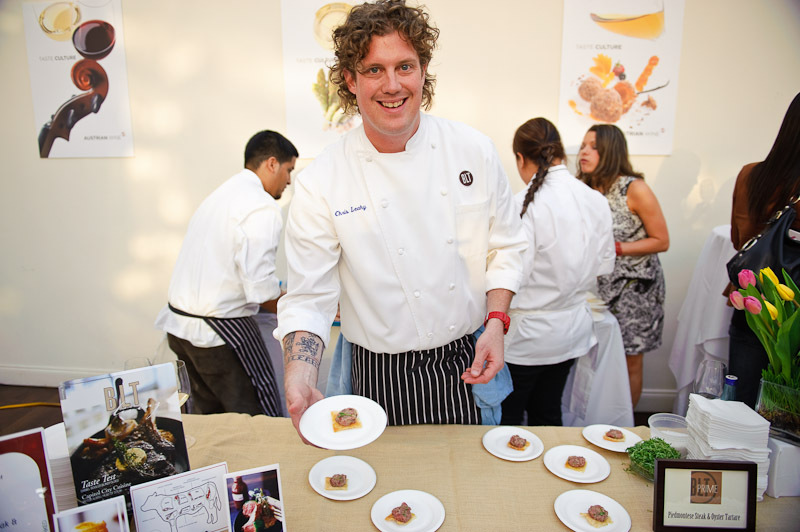 As a participant in the NYC Austria Uncorked Event held in May at Tribeca Rooftop, we were confident his culinary creation would be of elite quality – and we were right! 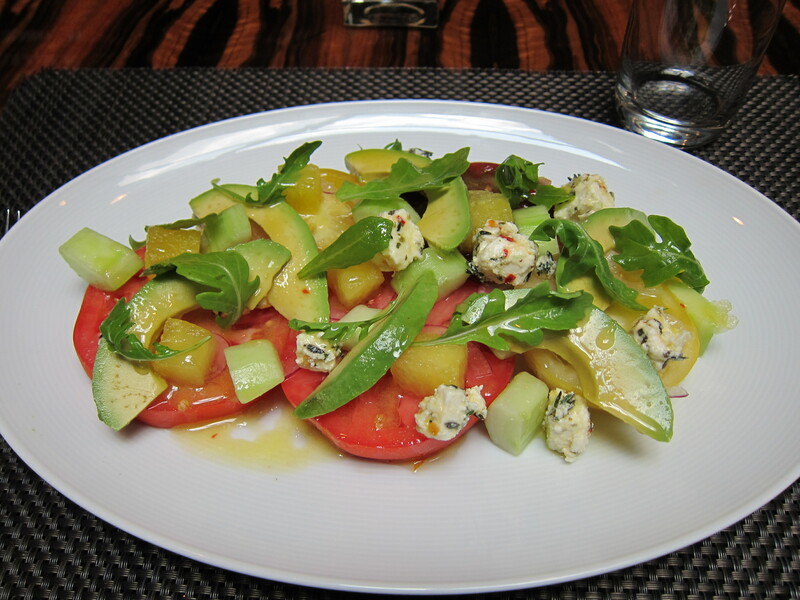 Leahy produced a light and refreshing Heirloom Tomato and Watermelon Salad with Thai Chili Vinaigrette and Arugula. -Bring water and sugar to boil, reduce heat to a simmer and add ginger. Cook the ginger in the simple syrup until tender. Cool and reserve. Combine feta cheese, watermelons, tomatoes, cucumber, avocado, Thai basil, red onion, and lime segments with 3 Tablespoons of the Chili Vinaigrette. Garnish the dish with the arugula leaves. Winemaker’s Tasting Notes: Nice fruit nose of yellow apples, melons and Greengages, light seasoning, pulses, is lower, elegant with a lot of fruit, good substance, tobacco, balanced, good length, beautiful. Sounds like a perfect pairing to us! Unfortunately neither the Sighardt Donabaum Gruner Veltliner nor the Heirloom Tomato and Watermelon Salad are currently regular’s on BLT Prime’s menu – but that doesn’t mean you can’t make it yourself!